Karl and Llane Langdon have been an integral part of the Ulusaba family since joining the award-winning Private Game Reserve in 2000. Prior to being appointed as Ulusaba’s General Managers in 2006, Llané previously held the position of Executive Lodge Manager at Ulusaba while Karl held the position of Head Ranger. 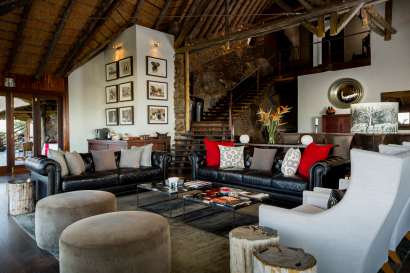 The couple is responsible for the day to day management of Ulusaba, comprising of Rock Lodge and Safari Lodge, and over 100 staff. Both were instrumental in establishing Ulusaba’s charity arm, Pride n’ Purpose. Designer : Franci du Toit of It’s a Franci. 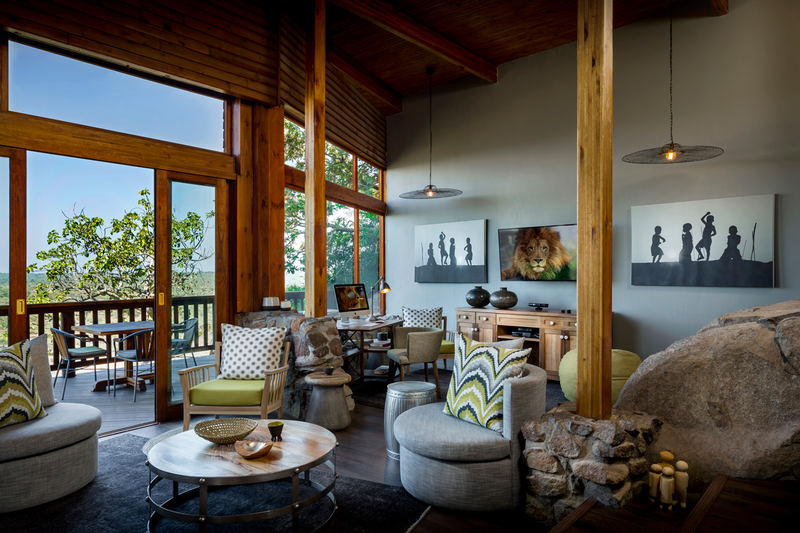 In 2008 the Treehouse Suite was built at Safari Lodge, giving guests the opportunity to get even closer to the Xikwenga Dam and watering hole, and in 2009 the Cliff Lodge Suites were completed at Rock Lodge. 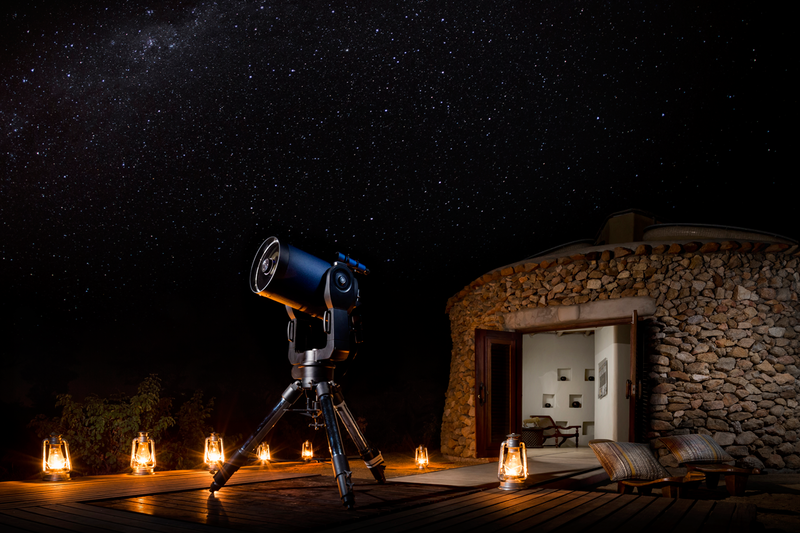 • Rock Lodge is the only lodge that is elevated, offering panoramic views over the bush. • The only lodge that has its own private airstrip. • The only lodge where kids aged 11 years old and younger stay free of charge. 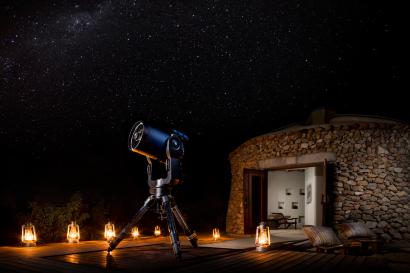 • With two lodges, one perched high on the summit of a koppie, and another one located right in the bush, Ulusaba offers two in one safari experience. Ulusaba is located in the western sector of the Sabi Sand Reserve, near Kruger National Park. You can now incorporate a volunteering experience into your stay. Our team will create bespoke itineraries to participate in hands-on projects within the local communities, based around your own skills and interests. Not only will this create an opportunity to experience the local culture it’ll provide a way in which you can perhaps give a little something back to others. A day out on the famed ‘Panorama Route’ along the Drakensberg Escarpment: this tour features stops at the Blyde River Canyon, God’s Window and Bourkes Luck Potholes. You’ll get up close and personal with some of the region’s natural beauty, and learn about the history of the area’s hardy pioneers. The old wagon trail can still be seen on the Abel Erasmus Pass. *Ulusaba means ‘place of little fear’. The local Shangaan tribe (from whose language the name comes) that occupied the area long ago used the hills as an outpost for the tribal chief and senior warriors. The elevation gave them a tremendous advantage during battle and meant their enemies were unlikely to win, as surprise attacks were virtually impossible. The tribal members could therefore live in safety – hence, the place of little fear. • Shangaans are celebrated for their dancing and singing and a rich musical heritage. • Built along the banks of a dry rivered, Safari Lodge guests cross swing bridges between the exquisite tree house style rooms. 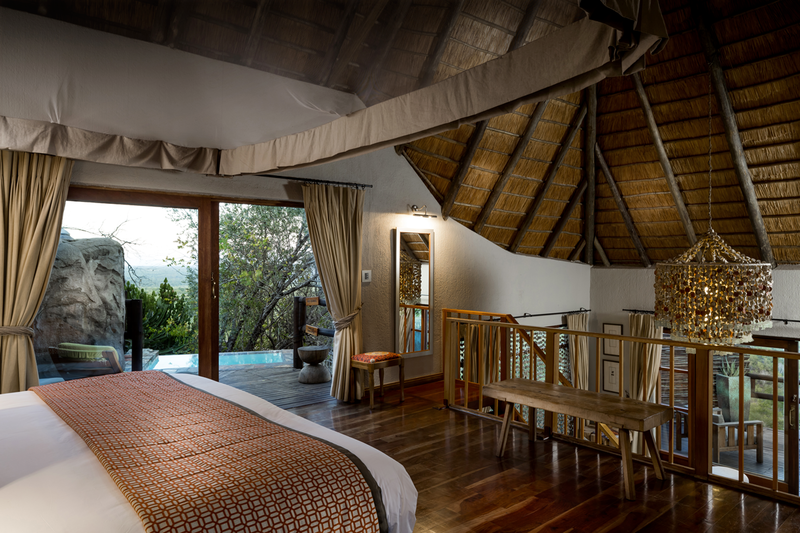 ROCK CLIFF ROOMS x 4: size 70m², adjoining, south-facing views, rooms are spacious and en-suite bathrooms have views. 2 of these rooms are built on split levels with a spiral staircase connecting the bedroom and bathroom. ROCK SUITE x 1: size 147m², spacious 2 bedroom suite with living area and iPod docking station. Master Bedroom has full en-suite, 2nd bedroom has queen bed that cannot split into twin and smaller en-suite bathroom without bath. 2nd bedroom does not have a Bush view. MASTER SUITE x 1: size 115m², built on 3 levels with beautiful views, en-suite bathroom, private balconies with heated infinity plunge pool, living area and iPod docking station. 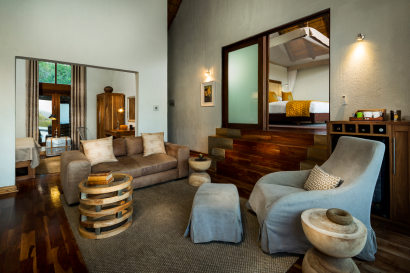 MAKWELA SUITES x 2: size 125m², built on 2 levels with private balconies, full en-suite bathrooms as well as outdoor showers, heated infinity plunge pool, fireplace, living area and separate study/library. Each has a separate day bed in the lounge suitable for children. CLIFF LODGE SUITE 1: size 330m², spacious 2 bedroom suite with one large bedroom (with two small pull out beds) and a second smaller bedroom which can accommodate one adult or two small children. Features private swimming pool, private bar, iPod docking station, spa, gym, satellite TV, Wii and fireplace as well as an outdoor barbecue. Access via a raised walkway from the Main House. 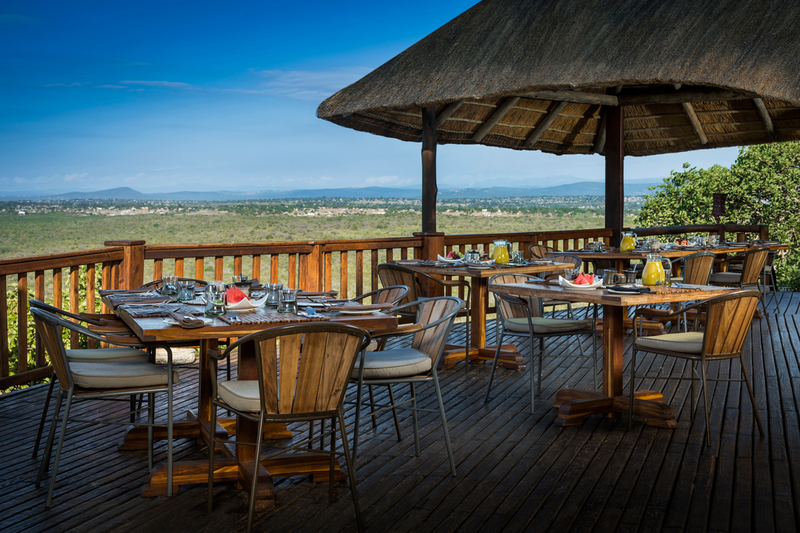 When hiring Cliff Lodge Suites 1 and 2 exclusively rates include private game drive vehicle and chef. Available individually 4 months prior to guest arrival. Maximum occupancy is 3 adults and 2 children. 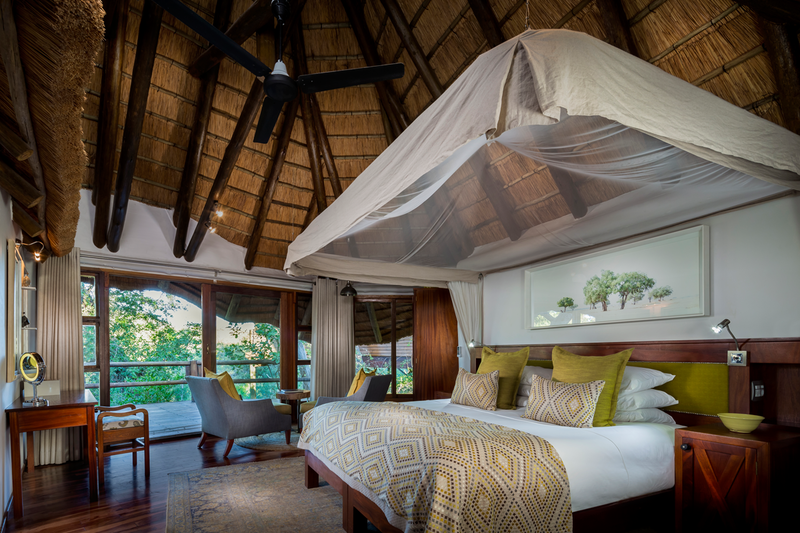 ELEPHANT ROOMS x 3: size 60m², built tree house style high above the Bush but still quite close to the Main House. Rooms are spacious and en-suite bathrooms have views. Large viewing decks. 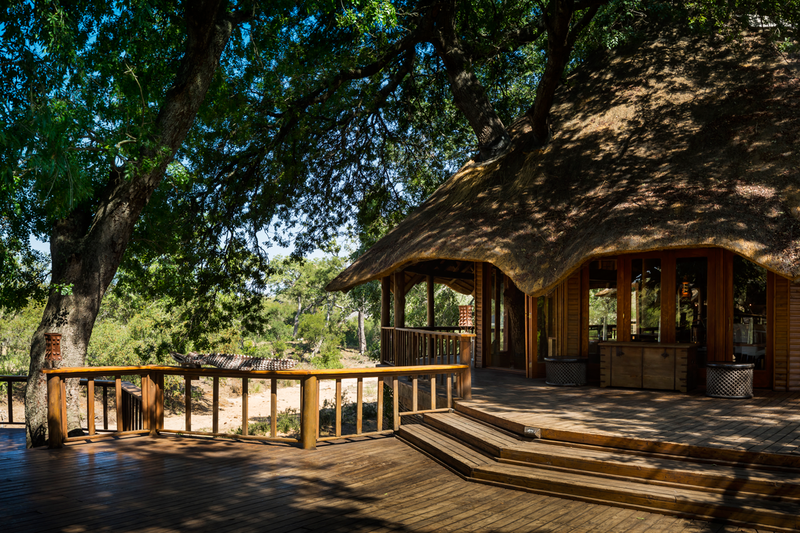 RIVER ROOMS x 4: size 100m², built tree house style – very private. River 1 is not accessed by swing bridge and is quite close to communal areas. Rest are accessed by swing bridges, with River 4 being a good 4-5 minute walk from the Main Lodge. All are very spacious and ensure privacy. 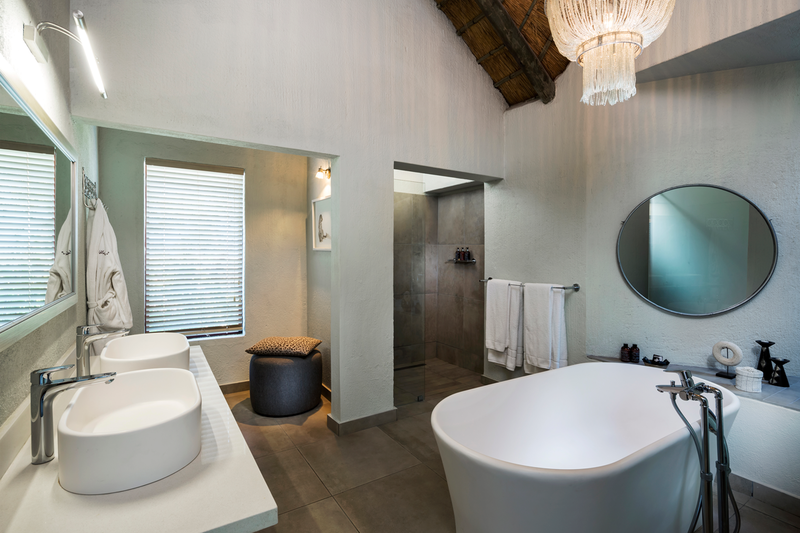 All en-suite bathrooms have views. River 2 and 4 have heated infinity plunge pools. TREEHOUSE SUITE x 1: size 160m², spacious very private suite featuring deck with view directly over Xikwenga Dam. Situated a 10-15 minute walk along swing bridges and raised walkways from the Main Lodge. Also has large viewing deck adjacent to room perfect for breakfasts and receptions for groups of up to 16. 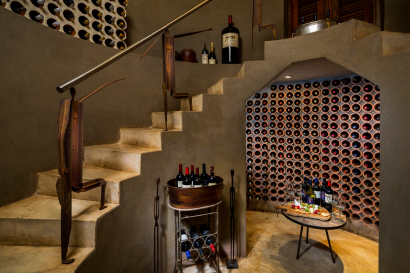 All meals and beverages including top quality wine list and fine champagne are included in the rate. Our internationally renowned chefs have developed numerous pan-African dishes influenced by many African cultures, flavors and spices. Our recipes are constantly refreshed and consist of seasonal, local ingredients. 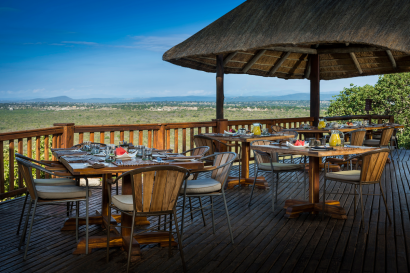 Whether dining under the African sky, in the Boma, on a deck or in the dining room, our menus and meals promise to be exciting, social and inspirational. All our breads and pastries are home baked daily and we also cater for private meals and special occasions. Of course, if you’d like a more intimate experience, we’d be delighted to organize private dining for you either on a secluded deck or at a location of your choice. Be sure to win some brownie points by organizing this before arrival and we’ll make sure we ramp up the romance. We have a great range of child-friendly meals. Your Cubs (that’s the children) can choose from a selection of tasty,well balanced, healthy and fun meals keeping both the parents and the Cubs happy! Feeling peckish? Just buzz our team from your room and we’ll keep you feeling full with something tasty off our menu. Wine lovers won’t go thirsty with our well-stocked wine cellar at Safari Lodge. If you prefer hearty reds we won’t delay your enjoyment by showcasing our best rosés, and likewise if you can’t wait to sip a refreshing glass of chilled white we won’t hold you back. South Africa has an excellent reputation for wine worldwide and naturally we’re keen to showcase some of the best local vintages on offer. The wines speak for themselves, and we want you to feel at home, so we don’t have a lengthy wine list full of ‘winespeak’. The Aroma Boma at Ulusaba is the perfect antidote to all the excitement of being out on the game drives. Book in for a relaxing treatment, from facial rituals to massage to essential grooming. 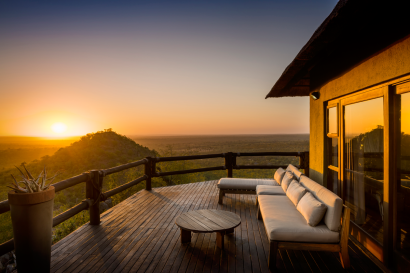 The Aroma Boma at Rock Lodge is located 800 feet above the African Savannah with truly stunning views over the Bush and offers complete privacy. At Safari Lodge, The Aroma Boma is built on the banks of the dry Mabrak riverbed amongst the trees and away from the main lodge area, so the only likely disturbance is perhaps the odd elephant wandering past! Ulusaba uses a range of products from Africology. Africology prides itself on its African roots, taking inspiration from home and using local active ingredients including Rooibos, Aloe, Marula and African Potato. 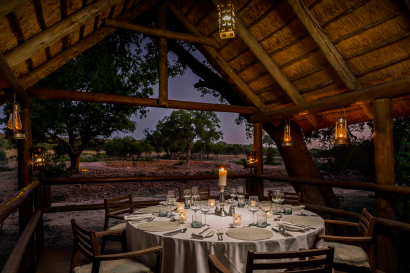 Ulusaba mostly caters to celebration events like weddings, birthday, and anniversaries.